The barbecues, beer, and suggestively titled bottles of seasonings lining the Father’s Day seasonal aisle this year got me thinking about fathers, stereotypes and the dramatic shift in the role society expects fathers to play in their children’s lives. In earlier American days – circa 1900 through the post-World War II era –working families would have been accustomed to harsh conditions, and were largely devoid of emotional coddling. While women were the caretakers, men were the providers, ensconced in a hyper-masculine, physically tough, emotionally detached, yet resilient image. Men were to govern the family, command respect, and raise virtuous, industrious children. Fast-forward, 1946. That was the year Dr. Benjamin Spock published his manual on infant and child care, Common Sense Book of Baby and Child Care. Dr. Spock, the non-conformist, countered the authoritarian philosophy of parenting. Using his understanding of psychoanalysis, Spock encouraged parents to acknowledge children’s feelings, respond to tears, cater to their preferences, and conjure some empathy… Mothers –and fathers – were to be affectionate and loving with their children, and treat the as individuals rather than just economic assets. Fast-forward again, 2016. Parenting books flood the aisles of bookstores and parenting blogs permeate the internet, and Spock is only known to younger generations as the guy who flew the starship Enterprise. “Attachment parenting” and “helicopter parent” are the parenting terms du jour. Gender roles are very much blurred. Mothers and fathers are both caretakers and breadwinners. Sometimes there are two mothers, sometimes two fathers, often times there is only one parent in the picture. Whatever the family dynamic, modern American society recognizes the importance of great emotional attachment between parent and child. In this new parenting culture, today’s typical father doesn’t rule with an iron fist, supporting the family afar, from his office cubicle, farm or factory. Instead, father is emotionally attached to his children, and intimately involved in their daily lives. In my over 20 years of practicing family law, it has been gratifying to see expansion of the many gender roles that support the children in our diverse community of families. Courts encourage joint custody, and presume that the father’s presence in his child’s life is a critical part of childhood wellbeing. 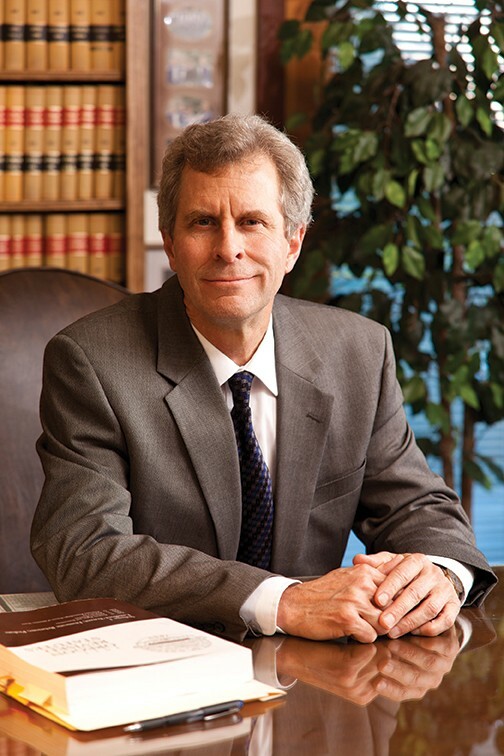 Robert (Bob) Good has practiced law in Jackson County for over 23 years, specializing in family law, estate planning and administration and business law. Contact him at his Ashland office at (541) 482-3763.